Developers Look! 12+ Acres of prime real estate with direct access to busy Sigman Road. Property lies withing the Rockdale County Economic Development Zone. Future Land Use Map designates property as light industrial (currently large tract agricultural). 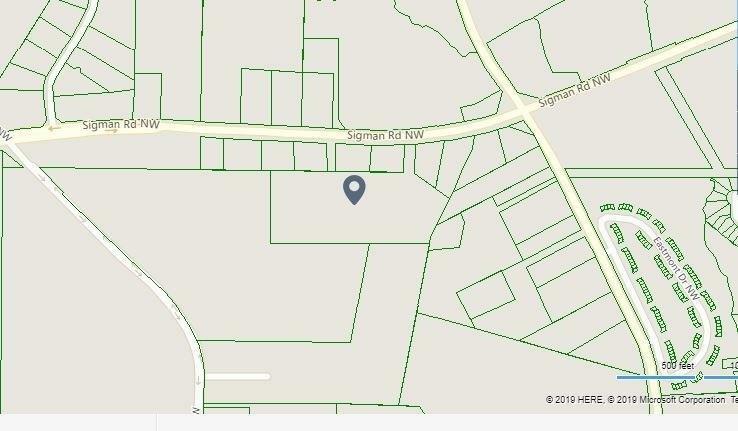 Two parcels directly between the right of ways (parcel id #041001016k and 041001016m) have recently been rezoned Commercial (Auto Body Repair) . Rear of property is bordered by Acuity/Lithonia Lighting. Tons of potential future uses daycare, offices, industrial, warehouse, daycare, doctor/dentist, multifamily etc.